SINGAPORE (Sept 5): Rex International Holdings says the group’s operations remain a going concern, even as its share price has fallen 47% year to date, hit by falling oil prices, the news of Swiber’s bankruptcy, and the debt woes of other oil and gas companies. In a filing to the exchange on Monday, Rex sought to reassure investors that its business remains financially sound, with US$68.5 million (S$93 million) in liquid assets that will enable to the group to continue its operations. In addition, the group said it had no long-term borrowings while short-term borrowings consist of a bridging credit facility in Norway that is fully backed by tax refund receivables from the Norwegian government for 78% of exploration costs. 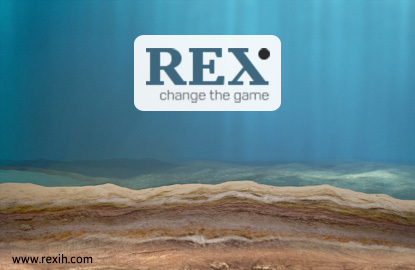 To counter the volatility of oil prices and the oversupply of oil, Rex says it will be embarking on a new initiative to generate cashflow. It plans to use its proprietary Rex Virtual Drilling (RVD) to identify oil in the ground, validate the RVD results through oil discoveries, and monetise its assets after developing its discoveries into oil production. Although the new initiative would involve higher capital expenditure and a longer lead time, it would allow the group to gain a higher price for its developed discoveries compared with its earlier business strategy of selling oil-in-the-ground. Meanwhile, the group remains very selective when undertaking new exploration drillings, and plans to drill one more well in Oman and another in Norway for the next 12 months. Rex’s Oman concession, Block 50, was extended by three years and the group is now actively looking to attract investors to the concession as its current direct interest of 76.95% is above the recommended level in its investment policy. It is also studying the possibility of a revised, lower service cost, extended well testing and early production system for the Omani concession, which would allow the concession to generate positive cash flow even as oil prices remain at US$40 per barrel. Dan Broström, Executive Chairman of Rex, said its shares are “grossly undervalued” as the group’s market value is lower than the value of its liquid assets. “The market has not priced in any value for our proprietary technologies and our interests in licences, which include a discovery in Oman and another in Norway, both of which have the potential to be monetised over the medium term,” says Broström. Shares of Rex closed 6.8% higher at 4.7 cents on Monday.